From the hottest new London salons to the latest from Marc Jacobs, here are the beauty scoops that are not to be missed this week. What do women want from hotels? Easy access to electronics chargers, hair-straightening irons, yoga mats and quality shampoo that will protect their hair, according to new research from Hyatt Hotels & Resorts. 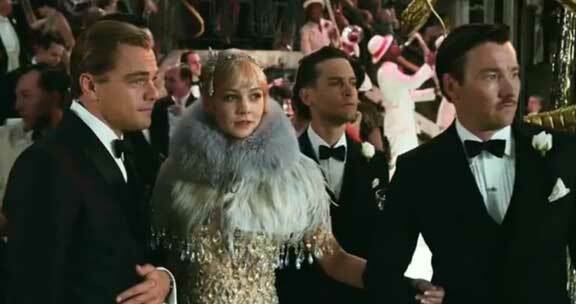 Tiffany & Co. have teamed up with costume designer Catherine Martin to create a series of Roaring Twenties-inspired jewels worn by Carey Mulligan, Leonardo Di Caprio and Elizabeth Debicki in the film adaption of F. Scott Fitzgerald’s modern masterpiece, The Great Gatsby, in theaters later this year. Bhutan is set to become world’s first wholly organic country. How cool is that! London’s salon scene has come of age. No longer the reserve of ladies who lunch with bouffant ‘dos, a new generation of alternative beauty and hair salons has taken over our fair city. Refinery 29 puts together the Ultimate Guide To London’s Alternative Beauty Scene. And the winner for craziest Fashion Week hair is… Adrian Alicea! Seriously, there are no words. Marc Jacobs wants you to have clear, shiny nails for Fall. Are you into it? When your hair is just as famous as your walk, it’s only natural that you sign a MAJOR beauty deal. Thus Kate Moss has just signed her name on the dotted line for Kérastase Paris.